We are excited to announce a new version of our mobile app for ForAllBadges which is now available on both the Apple App Store & Google Play Store! 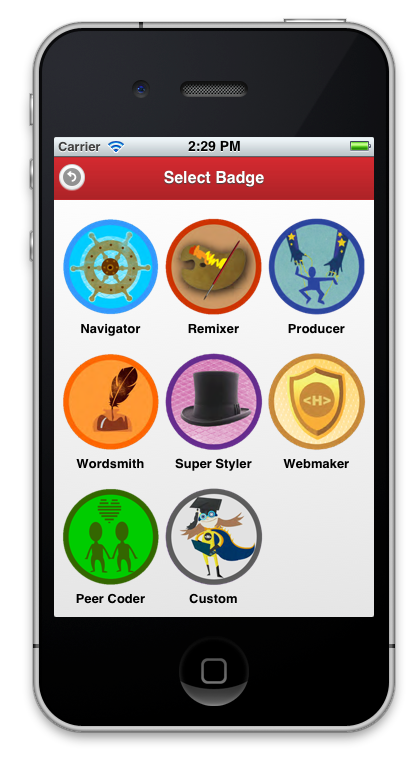 Last May we released the first version of ForAllBadges for iOS with support for the iPhone, iPod Touch & iPad. We learned a lot from the initial pilot of the software at a Mozilla Hack Jam in Bloomington, Indiana organized by Dan Hickey and Rebecca Itow from the Center for Research on Learning and Technology at Indiana University. We updated the select student screen so that now more students fit on the screen at a time and you now get an indicator for students who do not have any badges issued to them. You can now create student accounts directly from the mobile application! Based on feedback from our pilot we added this page which gives you the ability to view all badges issued to the student. You can tap on any of the badges to view details. 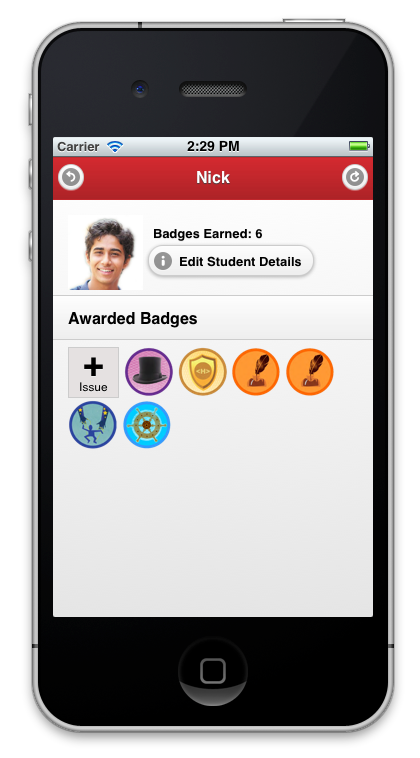 You can also edit the student’s information and issue a new badge. The badge selection screen has been optimized to fit more content on the screen, so it’s even easier to find the badge you want to issue! Just like the previous version, you can take a picture and attach it as evidence for the badge. You can also select a photo that has been saved in the device’s photo library. We are excited to announce that ForAllBadges now supports Android smartphones and tablets! The app can be downloaded directly from the Google Play Store. Support for claim codes: Teachers can now print stickers of claim codes for badges and award badges to students in the classroom by handing out claim codes that the students can then redeem on the website. 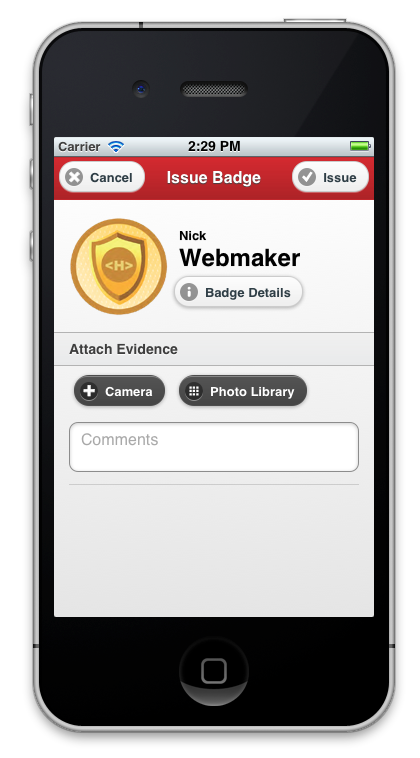 Bulk badge issuing: Teachers can now select multiple students and issue a badge to all of them with just one click. Email notifications: When badges are issued the student can now automatically receive an email with information on how to access the badge. As always, we love to hear feedback from our users. Let us know what you think and if you have any ideas for features you would like to add to the application.